For 35 years, Community Ventures, a Community Development Entity (CDE) based out of Lexington, has impacted the lives of Kentuckians in economically disadvantaged areas. In the last 14 years, Community Ventures has been able to expand the scope of possible projects through the New Markets Tax Credits program. The program is primarily used to finance real estate, commercial, industrial, and community facility projects. As one of Kentucky’s only NMTC allocatees, Community Ventures has helped finance and support rural communities and urban environments across the state. NMTC funding targets low-income, poverty-stricken communities in designated census tracts and projects with this funding can subsidize up to 20% of their project’s capital needs. To apply for New Markets Tax Credits, click here for our application. The application can be mailed or hand delivered to our Main Offices at 1450 N. Broadway in Lexington, KY or sent digitally to nrecord@cvky.org. To better understand how NMTC funds effectively improve and help our communities, take a look at some of our past projects. Community Ventures is a certified Community Development Entity by the CDFI Fund division of the US Treasury. This allows Community Ventures to use New Markets Tax Credits (NMTCs) to provide subsidized financing for qualifying businesses or real estate projects. In order to borrow NMTC funds, prospective borrowers must meet the Federal definition of a Qualified Active Low-Income Community Business (QALICB) as set forth in the NMTC statutes to be eligible for NMTC financing. In basic terminology, QALICBs are business that are predominantly or wholly located in low-income communities. Community Ventures obtains funds to invest in QALICBs through private investors. The NMTC program provides these investors with federal income tax credits based on equity investments made in CDF’s subsidiaries. This investment is known as a Qualified Equity Investment (QEI). Investors receive a tax credit for 39% of a QEI, which is claimed over a seven-year schedule. A QEI must remain fully invested in CV for seven years in order for an investor to meet NMTC compliance requirements. CV then uses the QEI capital to provide below-market rate equity or debt capital to qualifying businesses or real estate projects. The capital that a CDE provides to a qualifying project is known as a Qualified Low-Income Community Investment (QLICI). CV typically structures its QLICIs as interest-only loans with a seven-year or greater term in order to mirror the NMTC compliance period for QEIs. Because the NMTC benefit is defined as a percentage of the equity investment CDF receives, the amount of subsidy a project can receive is dependent upon size and cost of the project itself. The NMTC structure differs from that of many other federal tax credits because the NMTC investor indirectly finances a project through the CDE. Typically, with programs such as the Low Income Housing Tax Credit or the Historic Tax Credit, the investor receives a tax benefit for investing directly in a project. In NMTCs, the tax credit investor invest money with CV, not the project. CV in turn provides below-market financing to the project, most commonly in the form of debt. CV and many other CDEs participating in the NMTC program typically uses the “leverage model” to generate additional capital to provide “gap financing” for projects and businesses, as illustrated in the diagram below. In the leverage model, the tax credit investor (typically a bank) creates an investment fund to pool tax credit equity with other financing sources. The total tax credit available to the investor is equal to 39% of the total deal size, or Qualified Equity Investment (QEI) amount. The investor’s tax credit equity investment up-front is based on the amount of benefit the investor will ultimately claim. Because the investor’s claim of the tax credit occurs gradually over the 7-year NMTC compliance period, the NMTC equity amount will reflect a discount against the 39% NMTC benefit to reflect time-value-of-money. For example, if an investor pays $0.77 per $1 of tax benefit, this translates into $0.30 of NMTC equity per $1 of total QEI invested ($0.77 x 39%). Therefore, on a $10 million NMTC transaction with $0.77 pricing, the NMTC investor would be entitled to $3.9 million of tax credits over 7 years and would pay in about $3 million of NMTC equity into the investment fund at closing. However, in order to claim this amount of tax credits, the investor (through the Investment Fund) needs to make a $10 million Qualified Equity Investment in the CDE. Therefore, the Investment Fund typically borrows the rest of the capital needed to fund the QEI. This loan is called a “leverage loan.” Leverage loan proceeds are sourced from a number of different types of capital depending on the nature of the project. Leverage sources have included commercial bank loans, bridge loans, grant proceeds, charitable donations, tax increment financing (TIF), HUD 108 loans, and others. In almost every case, all sources of funds flow simultaneously at NMTC closing, requiring that the Leverage Loan, NMTC equity, and any other sources be available and ready to fund at or prior to closing. Community Ventures often structures QLICI loans in two pieces, to mirror the leverage loan and the NMTC equity layers at the investment fund level. The A Loan amount mirrors the leverage loan amount, while the B Loan mirrors the tax credit equity amount net of fees, closing costs, and NMTC-related expenses. At the end of the seven year NMTC compliance period, the Project Sponsor frequently has the opportunity to purchase the B Loan via a “put/call” agreement for a low cost, thus converting the B Loan into a permanent subsidy to the project. This net subsidy is generally about 20% of the total financing amount. CV typically follows the sequence described below to identify, structure, and close transactions. The time frame from initial intake to final closing can vary significantly based on the complexity of the project, availability of the non-NMTC financing sources, and other factors impacting project readiness. 2. Discussions with Project Sponsors. While CV receives some applications for NMTC assistance without having previously heard from the applicant, it is common for project sponsors to call with questions about the NMTC program. Because the NMTC program is complex and not right for every project, CV frequently meets with prospective applicants to discuss such issues as potential deal structure, availability of tax credits, eligibility, timing, and approval process. 3. Application Review/Screening. The intake applications are then reviewed to determine whether the proposed project appears to be a feasible NMTC transaction that fits with CV’s mission. This process is coordinated with other applications for local or state assistance that the project sponsors may have submitted, such as land sales, TIF, Class 6b, etc. 4. Underwriting/Structuring. CV then works with the applicant to determine in detail how the project financing will be structured. While NMTCs can be a powerful financing tool, they require careful structuring to be feasibly deployed. CV reviews these issues, and works with the project sponsor as needed to refine the deal structure and identify appropriate lenders and NMTC investors. 5. Advisory Board Review. CV’s Advisory Board meets at least quarterly to review proposed transactions and other CV business activity. Proposed transactions are presented to the Advisory Board in detail for review and comment. In particular, the Advisory Board focuses on the community benefits that will arise from proposed projects, as well as evidence of broad-based community support. 6. Governing Board Review. CV’s Governing Board generally meets after the Advisory Board to consider proposed transactions and other business activity. The Governing Board reviews the Advisory Board’s recommendations regarding proposed transactions, and formally votes on whether to approve CV’s participation in a project. 5.Term Sheet. CV issues term sheet-level commitments to project sponsors that are subject to final approval by CV’s Advisory and Governing Boards. These term sheets reserve a specified amount of NMTC allocation for the proposed project for a specific period of time. Because of the federal credit rate for NMTCs and prevailing NMTC investor pricing, the net NMTC capital can only represent at a maximum about 20% of the total funding for a project (see “Typical Transaction Structure” page above. Therefore, it is critical to identify and secure the balance of the financing sources for the project. CV can only issue these term sheets when the project has secured detailed term sheet-level commitments for all sources of financing needed to fund the entire project, with each source appropriately structured to fit with the NMTC transaction. CV also obtains a deposit at the time of term sheet execution. 8. Closing Process. CV then works with the project lender(s), NMTC investor, and borrower to draft and execute all the necessary documentation for financial closing. 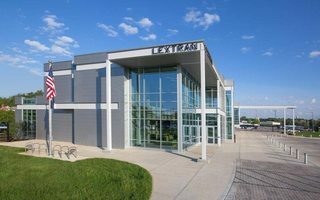 CV’s $9M QEI in the Transit Authority of Lexington (LexTran) is financing the construction of an administrative and maintenance facility, a new bus fueling and wash facility, and a parking lot for the bus fleet. The project is creating or retaining over 480 direct jobs and 265 indirect jobs. 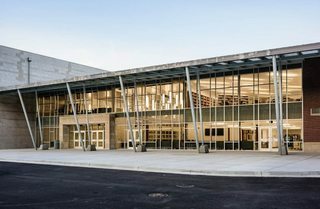 In addition to input from the community at large, CV worked with Lexington/Fayette Urban County Government council members – who represent LIPs in the LICs impacted – and who were extensively involved and extremely supportive of the redevelopment. Stakeholder engagement was critical: LexTran makes approximately 15,000 bus trips per day, and based on surveys, 68% of riders have annual household incomes of less than $20,000 per year. Likewise, numerous businesses in the LIC will benefit from daily expenditures by the 200 LexTran employees working at the new facility. With a 33.5% poverty rate and a median family income of only 64.2% of the national average, Pike County is an ARC county that is considered medically underserved. 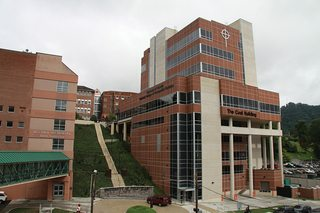 The vision of the Pikeville College School of Osteopathic Medicine (PCSOM) was to provide economic opportunity, health care access, and jobs for its residents. CV was the first CDE to commit to the project for $10,000,000 in allocation. Pikeville College is the leverage lender to the QALICB. The college received a $26.5 million loan from the USDA Rural Development and added $1.5 million of college funds to the leverage. CV’s NMTC investment lowered PCSOM’s debt burden, allowing the school to expand its class size. • At PSCOM, students are trained to become primary care physicians with emphasis on providing preventive health care. • The college estimates that in addition to the $40,000 annual tuition, students provide $20,000 to $25,000 in revenue to the community, annually, for apartments, food, clothing and local services. Tuition and living expenses alone add approximately $8,500,000 to the local economy each year. • PSCOM has graduated over 800 physicians with more than 60% going to work in medically underserved areas of Appalachia. • According to the economic impact study by Capital Access, from 2019-2023 there will be 182 new physicians, which will ease the rural physician shortage and generate a total economic output of $716,419,786 and create 1,806 future jobs (nursing, pharmaceutical, home health, and related support) in severely economically distressed, low-income communities. • The project has created high quality jobs for LIC residents and LIPs with wages substantially above the area’s living wage. PCSOM offers all permanent employees a competitive benefits package including employer-paid premiums at 80%, 401(k) plan and an active defined benefit plan.